The primary purpose of PartyNet is to assist clients, potential clients and website visitors of PartyNet to purchase party and related products. 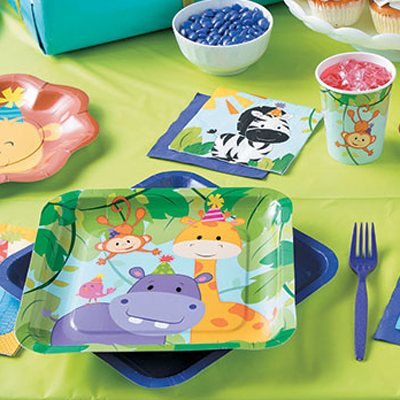 PartyNet sources thousands of products from many different suppliers and displays them on partynet.co.za. All products displayed on PartyNet.co.za are made available for you to order however; it is not possible to keep stock of every item. Please view the Product Availability section. In general PartyNet.co.za will not sell or rent your personally identifiable information to anyone. All information, text, material, graphics appearing on this Site from time to time ("Content") are Copyright © PartyNet unless this Site expressly indicates to the contrary. As such, the Content is protected by South African and international copyright and trademark laws. The Content on this site is updated periodically. Users are not entitled to modify, copy, reproduce, republish, frame, upload to a third party, post, transmit or distribute this Content in any way unless expressly authorized by this Site or unless the written permission of PartyNet has first been obtained. This site may from time to time contain electronic bulletin boards, chat rooms and other communication facilities which provide for feedback by users and members to PartyNet, real-time interaction between users and members and other electronic messaging and notice services ("Communication Facilities"). PartyNet will provide reasonable cooperation with any law enforcement authority in any jurisdiction in respect of any lawful direction or request to disclose the identity or other information in respect of anyone posting any materials, information or files which violate any applicable or relevant law. A user or member who places any information or other material on this Site (including by posting messages, uploading files, inputting data or engaging in any other form of communication), grants to PartyNet a perpetual, non-exclusive, royalty-free, irrevocable, unrestricted, worldwide license to use, copy, sub license, redistribute, adapt, transmit, publish and/or broadcast, publicly perform or display the information or material or any part of it. This license includes the right to exploit all proprietary rights in any such information or other material including but not limited to rights under copyright, trademark, service mark or patent laws under any jurisdiction worldwide. You expressly waive in favor of PartyNet all moral rights and any similar rights in any jurisdiction which you may have or hereafter acquire in respect of any relevant communication or other material. If PartyNet so requests, the user or member agrees to sign such documents as PartyNet may request from time to time to perfect or otherwise confirm the terms of this license agreement. The license also confers upon PartyNet the right to sub license to any third party any of the rights hereby conferred on PartyNet. Any items purchased from PartyNet are made pursuant to a shipment contract. The risk of loss and title for such items pass to you upon our delivery to the carrier. Should any item shipped by PartyNet be returned, having not reached its intended destination due to an incomplete or erroneous address or other postage problem, PartyNet reserves the right to contact the Customer / User to confirm their shipping details, and charge the Customer / User an appropriate amount for postage and handling in order to recoup both the time and physical cost of sending an item multiple times. Upon receipt of this additional postage and handling fee, the item will be re-shipped to the Customer / User's nominated address. Where discounts are applicable (through the use of discount codes and special offers), discounts are available only at the time of purchasing. It is not PartyNet policy to refund discounted amounts after a purchase has been made. PartyNet reserves the right to make judgment on an appropriate course of action should there be an error in processing the discount (particularly if this error is made by the User). In these instances, PartyNet may choose to credit the difference between the discounted price and amount paid for an item to a future purchase to be made by the User, or any other course of action PartyNet believes appropriate. This Site contains hyperlinks and other pointers to Internet websites operated by third parties for the convenience of users and members. The linked websites are not controlled by PartyNet, and PartyNet is unable to control the contents of any such linked website. Hence, PartyNet does not accept any responsibility for the contents nor does it specifically endorse those contents. Users and members link to any such website and use or rely on such website entirely at their own risk. PartyNet may from time to time accept banner and other forms of advertisement on this Site. Any such banner or other advertisement or link should be understood to be a paid advertisement and not an implicit or explicit endorsement by PartyNet of the content or use of that linked site. Users and members are referred to the linked website for all information in relation to that website. Some advertisements contain representations or offers by the advertiser which can be accepted by linking to the advertiser's website and executing the relevant transaction. Such offers are made solely by the advertiser, not by PartyNet. Further, the advertiser is solely responsible for fulfilling any representation or offer made. PartyNet.co.za acts as a catalogue of thousands of products which are sourced from many different suppliers. All products displayed on PartyNet.co.za are made available for you to order however; it is not possible to keep stock of every item. We do not keep any items for over the counter purchases on our premises in Midrand. All the items we have listed on our site are from our suppliers and are dependent on stock availability at the time your order is placed. We will email you the sales orders within 24-48 hours of receiving your order, unless the order is placed late on a Friday afternoon, over the weekend or on a public holiday, in which case we will get back to you on the next working day. If you have not heard back from us in 24 hours please email us or phone us so we can confirm your email address. Unfortunately on the odd occasion it may happen that between the time we confirm stock availability and the time the order is paid, an item may become out of stock. In this case we will inform you as soon as possible and will refund you for the item. 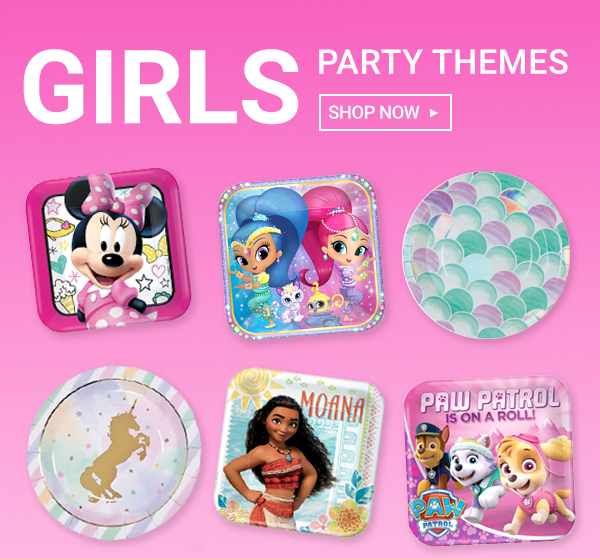 PartyNet will take all reasonable efforts to supply the goods that have been ordered, but will not be liable for items which are out of stock from the supplier. The delivery cost is dependent on the area the delivery is required. If the order is to be delivered in JHB or PTA the delivery fee is approximately R60.00 to the door, other areas range from R75.00 – R145.00 to the door, this is for up to 15Kgs. Certain areas will require an estimate from our courier service provider. If you choose the delivery option the delivery fee will be added to your sales order. Orders outside of JHB or PTA may take 3-4 working days from time of dispatch. A surcharge will be included for deliveries to farms, remote hospitals, power stations and high risk town ships. The cost of the delivery is subject to change without notice. Orders weighting more than 15Kg in either actual or volumetric weight will incur additional charges, as well as orders over 2Kg being delivered outside of JHB or PTA which require an overnight delivery. Orders cannot be delivered to a PO Box; we can however have orders delivered via speed services to your post office. If a parcel is less than 2kg in either actual or volumetric weight, the cost is R75.00, the cost of sending parcels over 2Kg via speed services is dependent on the actual weight and size of the parcel. We do not deliver outside of South Africa. PartyNet endeavours to have all orders delivered within 4-7 working days from receipt of payment; this can vary depending on the range of items ordered, the area delivery is required as well as the actual and volumetric weight of the parcel. 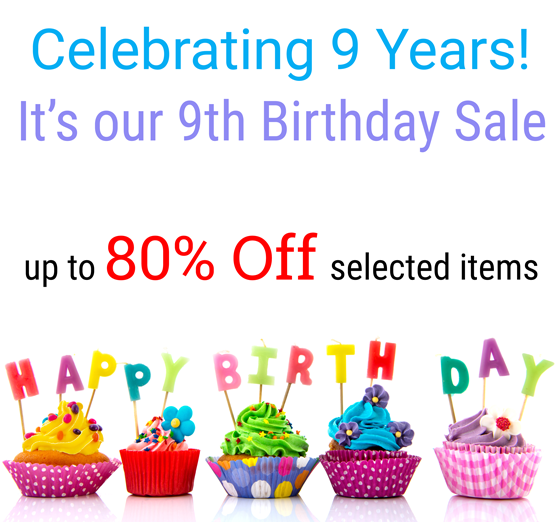 Please make sure you enter the date of the party on your order. We will not be held liable for orders paid and required within less than 7 working days. In the instance the order may take longer than 7 working days we will inform as soon as possible. If for some reason we are not able to get the order to you in time for you party and you have entered the party date on the order prior to payment, and the 7 working days have passed since payment we will refund you the amount paid for your order, but will not be liable in any other way or form. Payments may be made via EFT or Bank deposit. Payment must be made within 48 hours of receipt of the sales order. If payment is made after 48 hours the sales order is no longer valid and the order may be subject to changes in stock availability as well as price changes. The exact amount must be paid. Please use your Party Net account number, the order reference number or the sales order number. If any other references are used this could lead to a delay in processing you order. If an order is paid by cheque, the order will require the usual 4-7 working day lead time, after the cheque has cleared. Orders will be processed with a proof of payment; however they will not be dispatched until the monies reflect on the PartyNet bank statement. All orders must be paid in full before they are processed. Placing an item in the shopping basket does not constitute an agreement of sale between PartyNet and the user. We will not be held liable if such items are not available when the order is completed later. We will remove such an item from the sales order if no stock is available. An agreement of sale between PartyNet and a user only comes into effect if and when a deposit of an electronic transfer or bank deposit is reflected on PartyNet’s bank statement and only if such payment is received within 48 hours of sending the sales order. PartyNet reserves the right to refuse to accept and/or execute an order without reason. PartyNet also reserves the right to cancel orders in full or in part as circumstances dictate. PartyNet shall only be liable to refund monies already paid by the user. We will take all reasonable efforts to maintain correct prices on the website and sales order. However, should errors occur and items are offered at incorrect prices, PartyNet will not be obliged to sell goods at such incorrect prices and shall only be liable to refund monies paid. 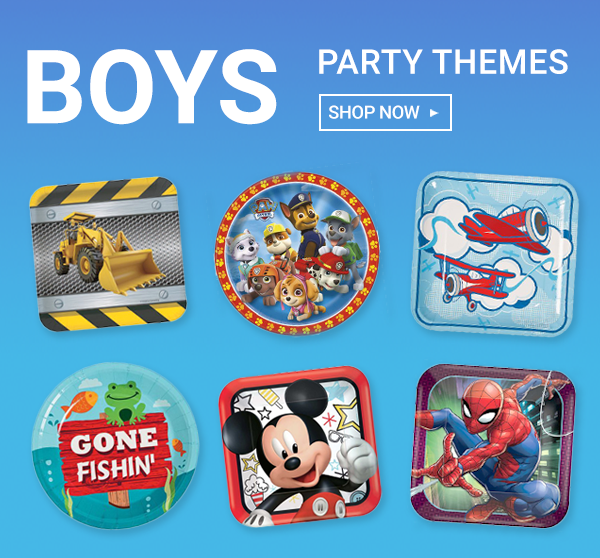 PartyNet endeavours to accurately display all our products online, if you have received a product which is different to the product displayed online we will collect the item from you and will make a reasonable effort to exchange the product. If replacement is not possible, we will refund the purchase price of the product. If the product has been displayed accurately and you no longer want the product once you have received it, you may return it at your own cost within 7 days, and we will gladly exchange it for you. Products will only be exchanged if they are unused and in their original packaging. PartyNet takes care to pack all orders carefully and to minimize damages as much as possible, if on the rare occasion that a product is damaged in transit please contact us to arrange a replacement of the product, provided the package has not been opened and we can see it was damaged in transit. If a refund is due to you it will be processed and a credit will be automatically applied to your credit card or original method of payment within 7 days. Please note that depending on your credit card company or bank, it may take an additional 2-10 business days for the amount to reflect on your account. 5. Users and members (and not PartyNet) assume the entire cost of any necessary verification, maintenance, repair and/or correction of any relevant Content. Under no circumstances (including but not limited to any act or omission, whether negligent or not, on the part of PartyNet) will PartyNet or its Affiliates be liable for any indirect, incidental, special and/or consequential damages or loss of profits whatsoever which result from any use or access of, or any inability to use or access, this Site or any Content. Users and members expressly acknowledge and agree that PartyNet does not exert control over other users and members of the Site and is not liable either for their opinions or their behavior including any information and/or advice and any defamatory statements or offensive conduct. This agreement will be governed by and construed in accordance with the laws of Johannesburg, South Africa. Users and members irrevocably and unconditionally submit to the non-exclusive jurisdiction of the courts of Johannesburg. If any provision of this agreement is found to be invalid or unenforceable by a court of law, such invalidity or unenforceability will not affect the remainder of the agreement which will continue in full force and effect.